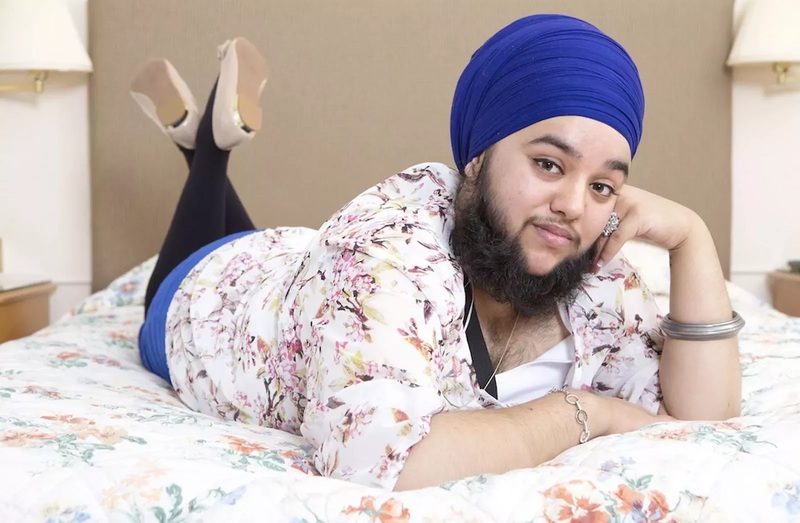 An unusual model with six-inch long facial hair has broken a record to become the youngest woman in the world to have a full beard, according to the Guinness World Records. Harnaam Kaur who is 24-years-old from Slough, Berkshire said it was “humbling” to be included in the famous book of records. The body positivist campaigner revealed in interviews that her beard started to grown when she was 11 after she developed polycystic ovary syndrome, a hormonal disorder that causes excess facial hair growth. At first, it used to be a source of shame to her but after some years, Kaur said she began to embrace her new look for good. In March 2016 she became the first female with a beard to walk the runway at London Fashion Week; a dream of hers she never thought was possible. Kaur continues to join and lead campaigns for body positivism in and around the UK.